It’s more difficult than ever to operate a lucrative medical practice – reimbursements are decreasing while overhead is increasing, insurance companies are becoming progressively difficult to deal with, and yet doctors are working harder than ever. With little that can be done to change this, the best resolution for medical practices is to acclimate. In using current technology to systematize as many time-consuming and monotonous tasks in the practice as possible, doctors can ease monthly overhead and enjoy amplified revenue, decreased stress, and more time to focus on patient care. By utilizing a physician practice management service, physician billing service, or medical coding company, you can reduce expenses from labor, transcription costs, paper, and supplies – as well as the time, money, and square footage of office space lost due to paper charts. By implementing a quality EHR and practice management company, doctors can streamline front and back office administrative functions as well as save time and money otherwise consumed by charting. 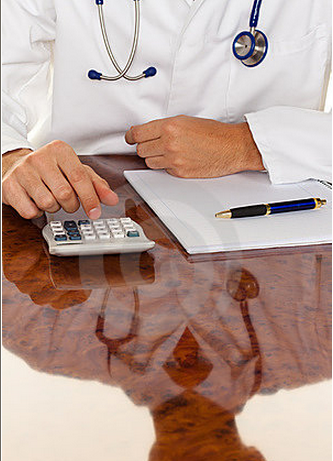 Another way physicians can save money on overhead is by outsourcing billing to a medical billing service. With electronic medical billing services, practices can enjoy increased accuracy and complete management of the entire collections process while maintaining visibility and control over their billing. Billing experts utilize coding technologies to reduce errors, re-bill, and handle all patient correspondences – and unlike a traditional hardcopy billing service, billing records, statements, and information managed by the company are always available for the physician’s assessment. Being a fiscally profitable practice may be a challenge, but by leveraging technology to streamline the office functions, physicians can avoid many of the most financially difficult problems they face. By using the latest approved EHR solutions and services such as outsourced billing, physicians can significantly reduce overhead – increasing profits and making working in the medical field as gratifying as it should be.